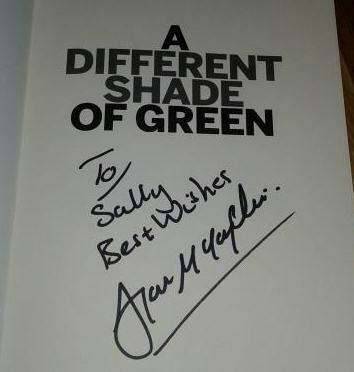 Earlier this month I attended a fans evening at Fratton Park in honour of Portsmouth F.C and Irish football legend, Alan ‘Macca’ McLoughlin. The midfielder and current first team coach was hugely popular with supporters many of whom were packed in for an interesting Q+A and queued up to have the legend sign a copy of his book. It was nice to see him happy and relaxed and looking well after his recent terrifying battle with cancer. However, just days later Macca was mysteriously sacked by Pompey. It came as a real shock to me, the fans and probably to himself and his family but as his book here goes to show, that’s all part and parcel of a turbulent, unpredictable life in football. 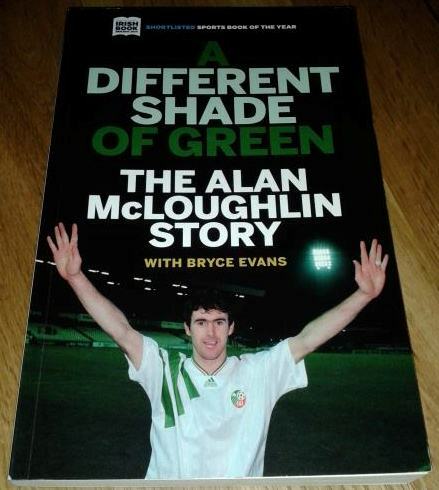 A Different Shade of Green is a rollercoaster tale of a proud sporting career. Brilliantly written by Bryce Evans this is no run of the mill account of wags, booze and trophies. Instead it is a look back with an intelligent eye over an eventful international career with Ireland, the good times and bad times with his predominant clubs – Swindon Town and Portsmouth F.C – and his obvious devotion to family life. From the devastation of being let go by Manchester United as a teenager to meeting the Pope as part of the Italia ’90 Irish squad, Macca has experienced the many highs and lows of a footballing life and it’s a fascinating read. Whilst travelling idly through Berkshire en route to a wedding recently, I happened upon the fabulous Hungerford Bookshop. It’s an exciting modern cavern of new and old titles that is unfortunately such a rarity these days. And that is where I got my hands on this great little paperback. 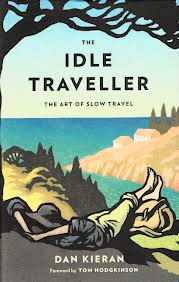 Enticed by the cover art and the fact that we were travelling idly at the time, I snapped it up and read it in the garden during this weekend’s heat wave.